The entrepreneurs behind MODUL STUDIO are designer Sofie Edvard and journalist Mette Faaborg Carlsen - an team with many years of experience within the fashion- and media industry. Sofie Edvard graduated from The Danish Design School in 2005, the same year as she was awarded Illum’s Design Award, an award given to talented Danish designers. Sofie Edvard has before had her own businesses with production abroad, and her designs are sold worldwide, as more of her works have been mentioned in acknowledged, international magazines. During the last four years, Sofie Edvard has been working as Assistant Professor at Copenhagen School of Design and Technology’s department of Sustainable Fashion, where she teaches fashion and sustainability. Mette Faaborg Carlsen is trained as a journalist from University of Southern Denmark. She has worked as a journalist in 10 years - primarily at DR and TV2. Mette Faaborg Carlsen is an experienced storyteller and she has many years of experience with content production for both radio, TV and different digital channels - and she is able to develop and execute a media strategy. Earlier, she has been involved with several start-ups and today she works as a freelance journalist. 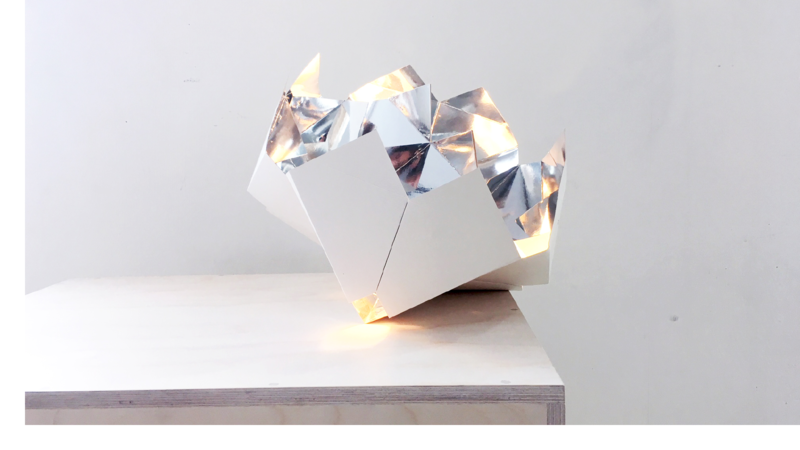 MODUL STUDIO is in the midsts of starting their business, where they now have developed their first product: a lamp. The lamps are made of paper and hand folded in the facilities at Catch. The cooperation with Catch provides MODUL STUDIO with a sparring partner who can assist in the early start-up phase and in relation to future possibilities for production, manpower and more.